We love to hear your feedback. Just contact us and be the first to try our new products. 5 STARS…I just received this shampoo from Rockwell Pets Pro and gave my dog a long massaging bath. I’ll be giving her another bath with this product in another few weeks and will report back again, but I absolutely love it to this point. It smells fantastic with a touch of lavender scent. I love that it lathers so easily and goes a long, long way. 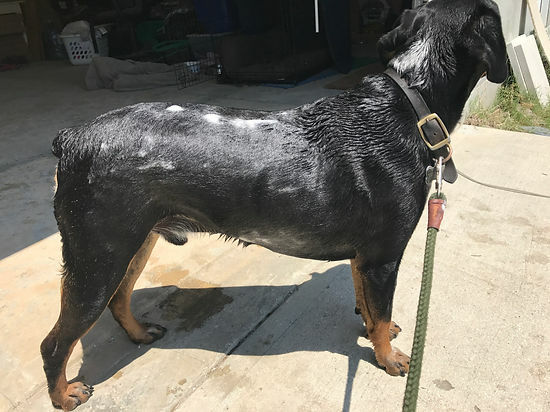 I have a 55 lb dog, and fully lathered, made only a 1/2″ dent in the bottle neck toward the amount of shampoo used. It’s a 16 oz bottle, so I estimate this bottle to last 16-20 shampoos for my dog, likely a bit less than that if your dog has all long fur. My dog has long white fur around her neck and short brindle fur over most the rest of her body. I immediately noticed a positive difference in the body of her long white hair while wet, something that I’ve never seen before after her baths. She does have dry, itchy skin that I’ve been trying to correct, so I will follow up again in the coming weeks, since this is a moisturizing formula for dry and itchy skin. I am highly encouraged that this product is toxin-free, containing natural oils and aloe vera. Thank you Rockwell Pets Pro. It was nice to find a vitamin for my little picky dog who’s getting older now and needs all the help she can get. This vitamin seems to be helping her coat and making her eyes brighter. She also has a little more pep in her step. I hope this vitamin helps to keep her around for awhile since she means so much to me. Thanks Rockwell for making an awesome product! Amazon: 5.0 out of 5 stars Happy with this healthy supplement! Have been looking for a quality vitamin for my dogs and purchased this for the first time. The ingredients listed on the container are wonderful and complete, helpful in maintaining good health and boosting immunity to fight diseases. Have not been using this product for long and it is hard to know if there are positive results only after this short time. But, my dogs love the taste and that is half the battle. It is liquid and easily mixes with their food. They are frisky, clear eyed and have thick, shiny coats and I strive to keep them that way. I feel good about providing them with quality vitamins and minerals to help their bodies stay healthy and function at their peak for a very long time. I was so impressed with all the quality ingredients this product has..but I was concerned with so many ingredients my dog wouldn’t like the taste. Thankfully..my dog loves the taste! And I feel really good about giving her something that will hopefully help her age well now that she is a 13yr old senior. The price may be higher than other supplements..but if you compare the ingredients..you will understand why. Very happy to have purchased this product! Amazon: 5.0 out of 5 stars Exactly what my furbabies needed!!! I have two dogs, over 140 pounds. My female, Mia, is a 7 year old English Mastiff. My male, named Boy, is a 3 year old Harlequin Great Dane. Mia suffers from doggie acid reflux and has to take a stomach pill every day. We have also been battling hearing loss with her, from repeated ear infections and her getting older. Before giving these to my furbabies, I asked their vet and he said to start with half of a dose and if there are no bad reactions than it should be fine to give them. I have been giving these Natural Vitamins to both of my furbabies since October and they both show great benefits. Their coats are shiny, soft, and beautiful. Their breath actually smells better (I’m not sure why, but adding these vitamins is the only difference). And they both have increased energy levels. Not that Boy was lacking in that area, lol, but Mia sure was. She is even more lovable, as she used to just lay on her bed while Boy asked for attention, they are now in competition for attention. I was afraid that I would have to do some sort of doggie magic to get them to take these vitamins, but that was not a problem. I just pour it over their morning feeding and they eat it up just the same. 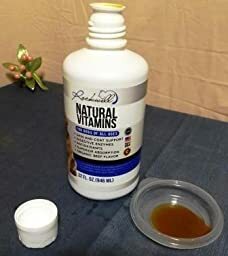 I am adding a picture so show that this is a huge bottle and also the color of the vitamins. 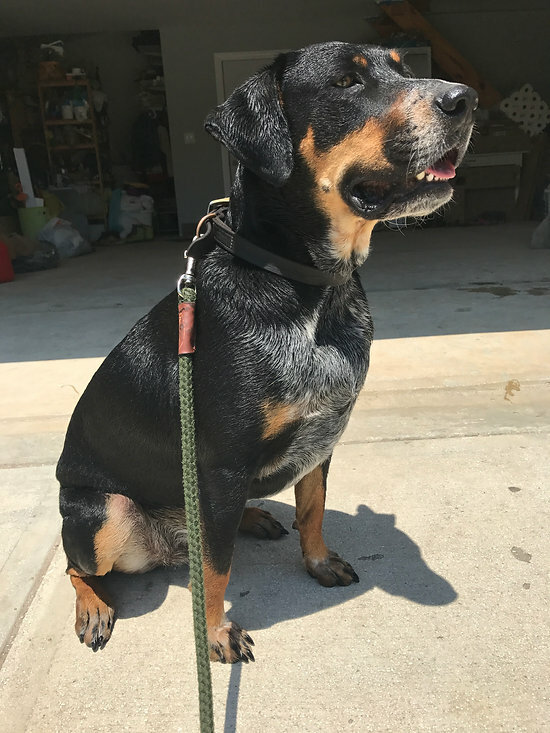 Amazon: 5.0 out of 5 starsMy dog loved this! I really like Rockwell Pets Natural Vitamins for my dog Archie! He is a really picky eater, and sometimes I worry he isn’t getting the proper nutrients he needs. With Rockwell, I don’t have to worry! Plus, he loves the taste! We put it on his food, and he eats all of it. I highly recommend Rockwell Pets Natural Vitamins for all pups! As dog owners we have more than enough to worry about. Isn’t it nice using things made with high quality ingredients? 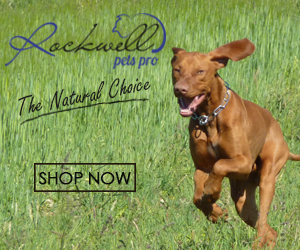 Rockwell Pets Pro is passionate about their products, and the well-being of our pets is a priority. They’re committed to making more natural and safer products for our pets and families. MOISTURIZES AND SOOTHES – natural ingredients improve skin conditions and soothe your dog’s coat. PROMOTES NATURAL SKIN FLORA – luxurious oils replenish your dog’s natural oils to moisturize skin and promote a healthy coat. COMFORTS DRY AND ITCHY SKIN – liquid soap that is free of petroleum and animal by-products to support your dog’s well-being and reduce sensitive reactions. Henry about to have a bath. 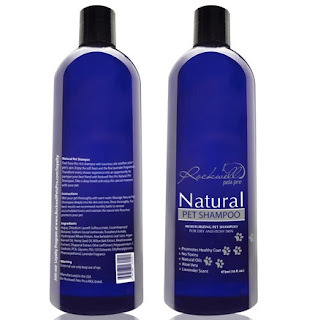 Rockwell Pets Pro’ shampoo is eco-friendly and made from natural ingredients. Free from synthetic fragrances, colors, or antimicrobial preservatives for a better experience. I won’t just use any brand with my dog – it has to me made of good ingredients and have a good reputation. Rockwell Pets Pro recommends monthly baths to remove accumulated toxins and maintain the natural skin flora. With Henry, he gets baths more frequently than that since he goes hiking just about every day and gets muddy. I like this natural pet shampoo. It’s scented with lavender but it’s really not that overpowering, and there might be a hint of eucalyptus in there. The shampoo does the job, getting rid of dirt and grime, leaving your dog fresh and clean. Henry’s hair isn’t greasy or anything and it’s just as soft as ever. If for some reason you have a bad experience with the shampoo, Rockwell Pets Pro will replace the product or give you 100% of your money back, no questions asked. Give it a try with your dog! I was sent Rockwell’s Natural Dog Shampoo. 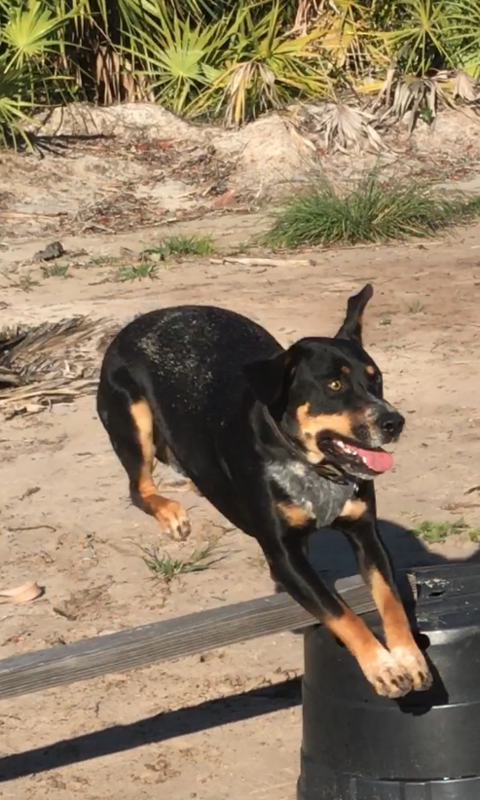 Rusty my Rottweiler mix loves to roll in dirt and sand especially during agility practice. I decided that I would put Rockwell’s shampoo to the test. I grabbed Rusty, the shampoo, a wash glove and a hose. Rusty just finished running agility and he was both dirty and hot. I started off rinsing him and applying the shampoo. A quarter sized amount went a long way and covered him in a rich white lather from head to tail. It smelled like lavender but was not overwhelming. It got all the mud and dirt out with minimal effort. It rinsed off and he was running happily. 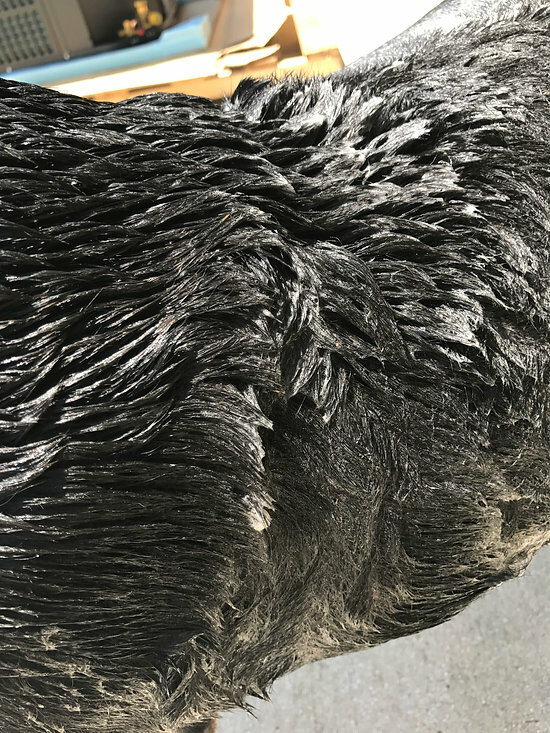 His fur dried into a shiny and silky coat. I only used a small amount and it was enough to cover his fur in a rich white lather. I was extremely pleased with how well the shampoo worked and is now my go to brand. 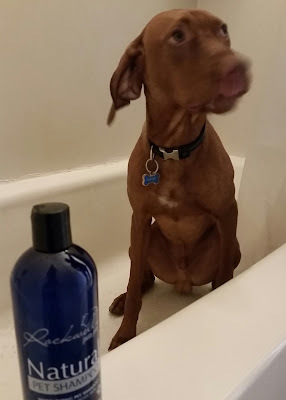 Rusty was left smelling like lavender and the shampoo has only natural ingredients which made me even more excited about my discovery. Rusty posing for his after picture.